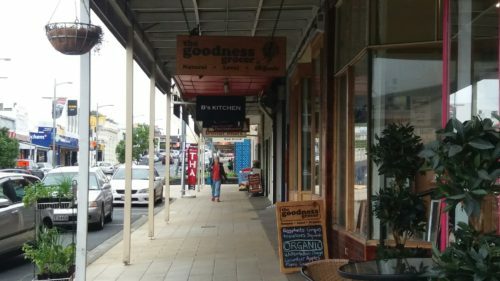 Waiuku is an attractive town, characterised by it’s many historical sites, naturally beautiful features and other local places of interest. The Maori name Waiuku comes from a legend that two prominent brothers, Tamakae and Tamakou, vied for the hand of a beautiful high-ranking Waikato chieftainess. Tamakae was the cultivator, provider and Tamakou the orator. Tamakou was the first to meet her, but she requested that Tamakae be presented to her. 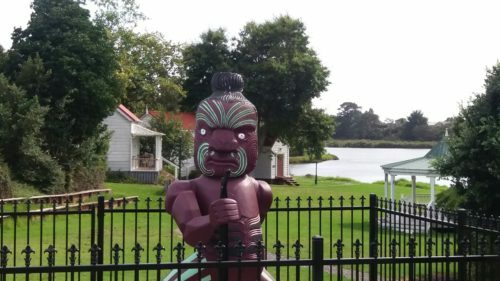 He was working in the kumara gardens and had to be washed in the wai (water) and uku (a particular type of mud) at the stream that flows into the Manukau Harbour just behind the Waiuku Museum, before he was able to meet her. Tamakae won her heart and married her. From then the place was named Waiuku. Anton and Pauline Hartmann were married in 1869. In 1886 they paid fifty pounds for five acres and built this house on what is now the corner of Meachen Terrace, 200m west of the present site. 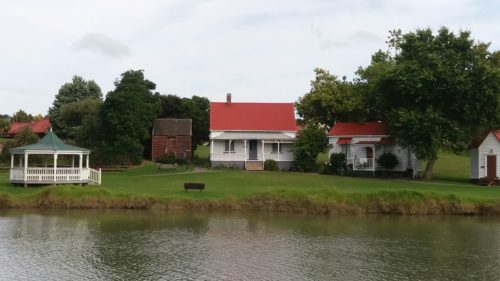 The house was relocated and restored in 1979. Now a co-operative craft shop. 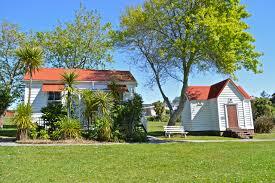 Built in 1890 at Pollok on the Awhitu Peninsula north-west of Waiuku as the Drummond family home. Relocated and restored in 1996. Built in 1865. 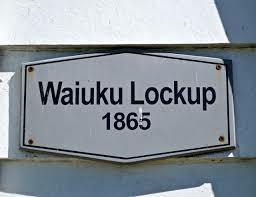 Visitors can read the names of the constables of Waiuku District Constabulary who kept the peace, and speak to the dejected resident prisoner. 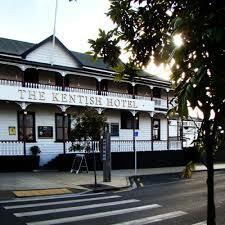 The Kentish is New Zealand’s oldest continuous license to sell alcoholic beverages. Edward Constable left Kent England in 1839, and invested in shipping and trade based in Auckland. 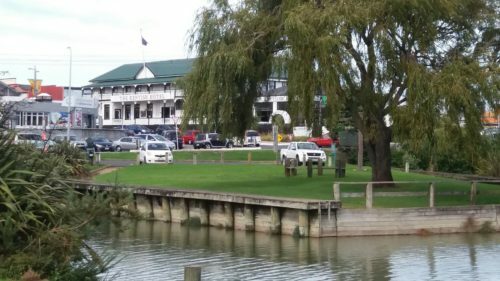 When land became available in 1851 Constable came to Waiuku, built the hotel, and obtained a license in 1853. The hotel became the hub of trade and social life in the new township. It has seen many historic and hosted some distinguished guests. 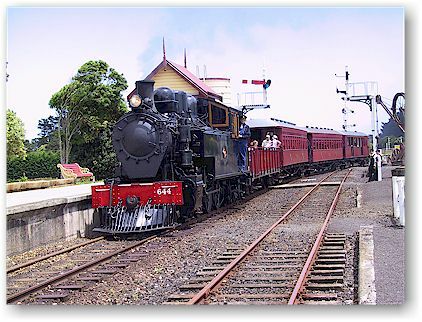 A large draw for Aucklander’s is the Glenbrook Vintage Rail that now carries passengers directly into the centre of town. Glenbrook Vintage Railway opened in 1977. Visitors can experience a trip on a vintage steam train and explore the original station buildings that have been restored and relocated to the main station at Glenbrook. T.J Sedgwick’s General Store was established in 1892 with a boarding house and residential accomadation upstairs. In 1908 the store became Cave and West Crockery and Glassware, then Jamieson’s Books, a Chemist and a menswear store. Many of the original buildings on the north-east side of lower Queen St were destroyed by fire in 1916. A second fire in 1926 took the rest and the heat from across the street threatened the Kentish. Wet blankets and sheets hung from the verandah absorbed the heat and saved the hotel which suffered only blistered paint. Wallace Supplies and adjacent shops on the south-west side of the street from Bowen St corner to 47 Queen Street suffered a fire in 1927. The buildings were replaced or renovated soon after.